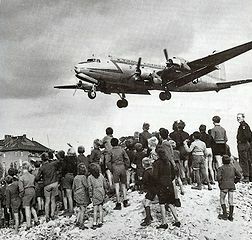 Berlin airlift began in 1948. After World War II, Germany was divided into four parts. The Soviet Union controlled the portion that held Berlin. Berlin itself had been divided into four parts. The Soviet Union denied access to the city. 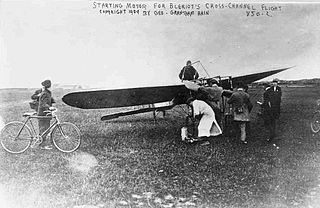 The United States, France, and Great Britain responded by airlifting food and other supplies into Berlin. The airlift lasted until May 12, 1949. Over 1,500,000 tons of supplies were lifted in. Madagascar celebrates Independence Day. It became free from French rule in 1960. It is an island off the southeastern coast of Africa, and it is slightly smaller than Texas. It is the fourth largest island in the world. It exports coffee, vanilla, and cloves, and about 23 million people live there. Antananarivo is the capital. Statue of Liberty was given to the United States by France in 1884. The statue was presented to Levi P. Morton, the US ambassador to France, in Paris. The statue was then taken apart and shipped to the United States. The statue reached our shores on June 17, 1885. However, the pedestal was not yet ready. The statue was formally revealed on October 28, 1886.Children can learn more at: Statue of Liberty. France celebrates Fête de la Fédération, also known as Bastille Day. In 1789 the Bastille fell to the rioting people, marking the beginning of the French Revolution. France is a bit smaller than Texas, and the Mediterranean Sea, the Bay of Biscay, and the English Channel all border the country. Almost 66 million people live in France. Paris is the capital. Idea: Charles Dickens’s A Tale of Two Cities gives great insight into the French Revolution. 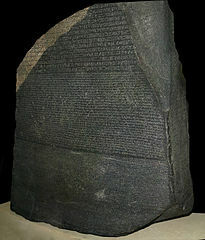 Rosetta Stone was found in 1799. Great Britain and France were at war, and one of their battle locations was in Egypt. The French found the stone when they were trying to improve their fortifications. The French lost the battle, and the British confiscated the Rosetta Stone. A pharaoh’s proclamation is written in three different languages on the stone. Jean Francois Champollion deciphered the ancient Egyptian hieroglyphic text by working back through the other two languages. The British Museum now houses the Rosetta Stone. Children can learn more at: Rosetta Stone. Vanuatu celebrates Independence Day. It gained its freedom from France and Great Britain in 1980. This group of twelve larger islands and sixty smaller islands changed its name from the New Hebrides to Vanuatu on this day as well. The country is located in the Pacific Ocean, and Port Vila is the capital. The area of Vanuatu is about the same as the area of Connecticut. Approximately two thirds of the 260,000 people living on the islands are farmers. Other industries include tourism and off-shore fishing. Gertrude Ederle in 1926 became the first woman to swim the English Channel. She swam for fourteen hours and thirty-one minutes from England to France. She returned to a ticker tape parade in New York City. Younger children could read America’s Champion Swimmer: Gertrude Ederle, by David A. Adler. Cote D’Ivoire celebrates Independence Day. The west African country gained its independence in 1960 from France. Bordering the Atlantic Ocean, Cote D’Ivoire has an area about the same as the area of New Mexico. The mostly flat country has a tropical climate along the coast. The country exports cocoa beans and coffee beans. Over 22 million people live there, and Yamoussoukro is the capital.